Below, you’ll find a piece written by one of our fabulous supporters, Chris McGuigan. Not only did she compose this wonderful reflection for Word Palette, but she also captured a few impromptu videos, last Sunday, during POST. Feel free to check them out at your leisure, using the attached links. Overall, they’re a great glimpse into the artists that make MAAG what it is today. On this Sunday afternoon in October the misty rain provided a thinly veiled curtain to the world beyond the inviting red open garage doors and once through those doors the stories unfolded. 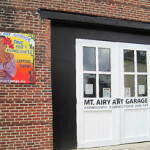 Mount Airy Art Garage is a soul fusion that is visual, instinctual, audible and richly textured. 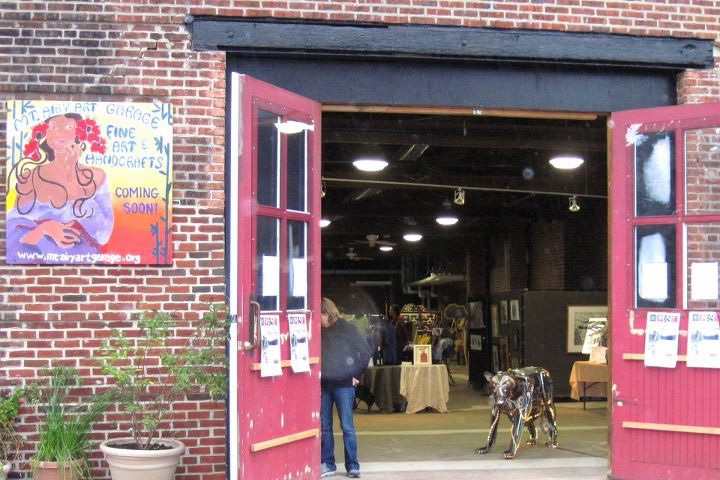 This “It” is not just a building as it were – Mount Airy Art Garage is a lively, inspirational an nurturing community of people with the belief that each of us holds an artist within our soul, therefore, MAAG is a community to humanity and it’s artistic spirit! Something irresistable draws you to a place where maybe, just maybe, you are crossing a threshold that will change your perspective or your life. Looking around at first glance, what hits you is activity, bursts of color, buzzing social interaction and smiling faces. 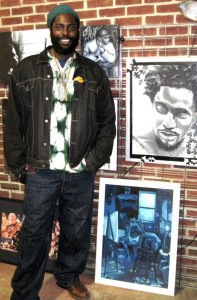 The energy and creativity abounds in sculpture, paintings, pottery, jewelry, screen prints, music, written and spoken word. It is not only what is present, but what is possible and it is not only a space that holds objects, but nurtures the spirit. My intent was to interview some of the artists and attempt to capture in my words the energy of their words, but as each began to speak of thier work I watched as thier expressions would light up with enthusiasm. I decided to capture the spontaneity using a small hand held video camera and to have the artists express what they do in thier own words. Some are emerging artists, some professionals, but all possess – as artists do – that innate force that calls and they have no choice but to answer. Whatever life journey they have been on, whatever careers they may have or have had from insurance agents, teachers, mechanics, physicians or the professional lifelong devoted artist – that creative call cannot be quieted. And how fortunate that The Mount Airy Art Garage exists to embrace this creativity! 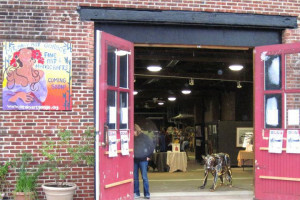 Mount Airy Art Garage has a clear direction to provide studio space for emerging and professional artists, a permanent gallery space and to educate and teach. It is a community center for the Arts in the Northwest region of Philadelphia encompassing Mount Airy, Chestnut Hill and Germantown. 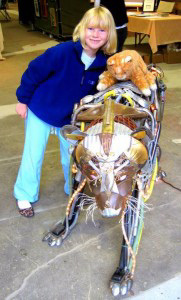 MAAG began as a concept, a dream that co-founders Linda Slodki and Arleen Olshan envisioned and shared along with so many other artists, board members and supporters. It is evident that this dream has seeped into the life blood of these visionaries and began to take shape into what has now become a reality.